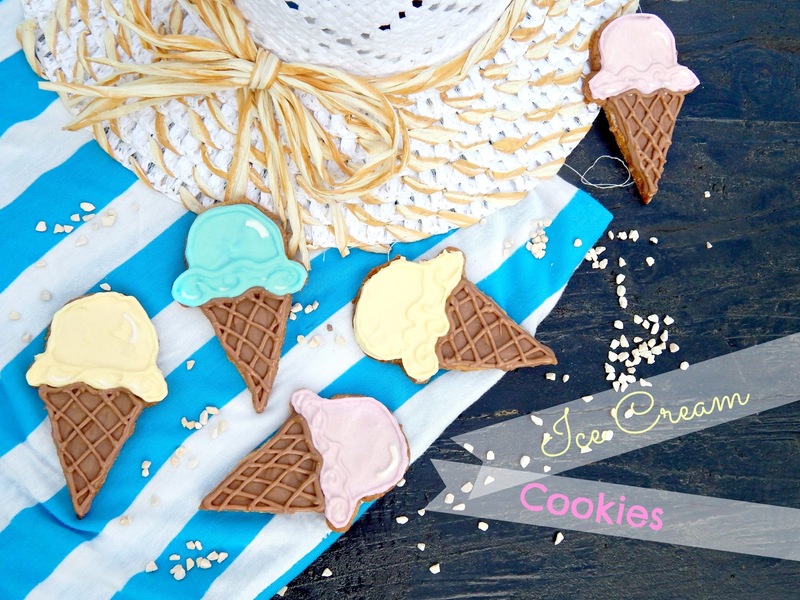 Ice Cream Cone Sugar Cookies! 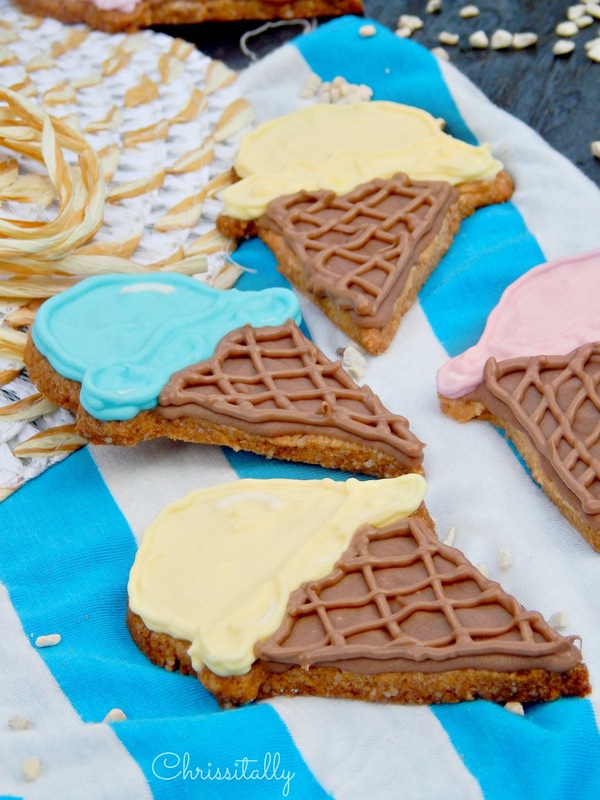 BeBetsy welcomes one of our favorite young bloggers Chrissi, who creates beautiful cookies and more from her home in Germany. Hello everybody 😉 I am Chrissi from Chrissitallys Cupcakefactory! I am really happy about the opportunity to blog for all of you here on BeBetsy. The majority of the time I´m blogging in German because it is my mother tongue but if time allows me to I also enjoy giving an English translation. I´m a hobby baker who loves sharing especially sweet delicacies on my blog because admittedly, I’ve got a massive sweet tooth. When I was young I always enjoyed baking with my mother. My mother isn’t the most advanced baker so we always made the easiest cookies ever – Sugar cookies! They are still my most favourite cookies. I simply adore them because they are easy and massively delicious. Since I started blogging I get more and more creative when it comes to decorating the cookies. I have had problems with some of my chocolate decorations so I worked on creating something new, something that is not only tasty but also visual appealing. I tested a lot of new decoration skills and started falling in love with cookies that look like different food or in general something else. For instance I recently decorated some sugar cookies to look like Oktoberfest items, which was absolutely funny. I also baked some Pikachu and Pacman themed cookies a few month ago. I´m still proud when thinking back how stunning they looked. 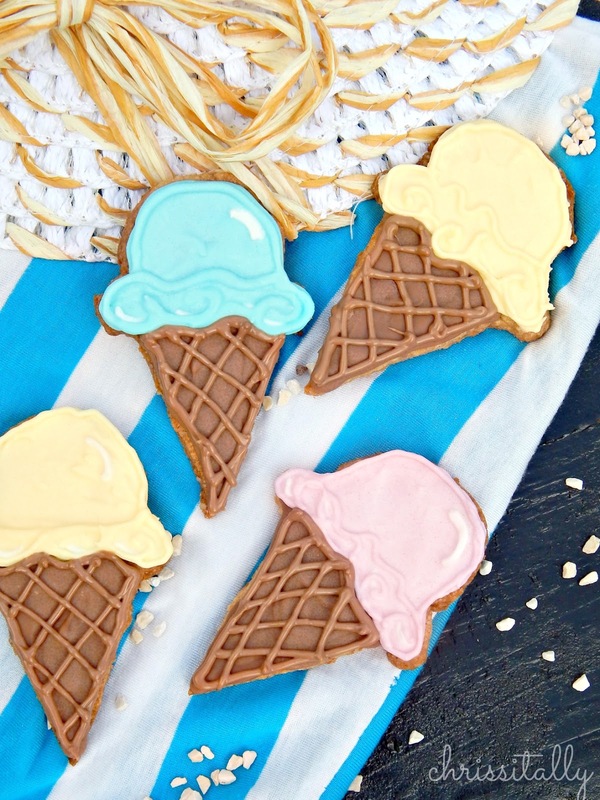 When Sharon and Denise asked me to write a post for BeBetsy I immediately knew that it´s going to be time to share another Cookie decoration idea with you. This time I created something that reminded me of the summer feeling I recently missed so much. Ice Cream! Whisk butter and sugar until for about 5 minutes. Add remaining ingredients and mix together until well combined. Put it in the fridge for approximately 2 hours. 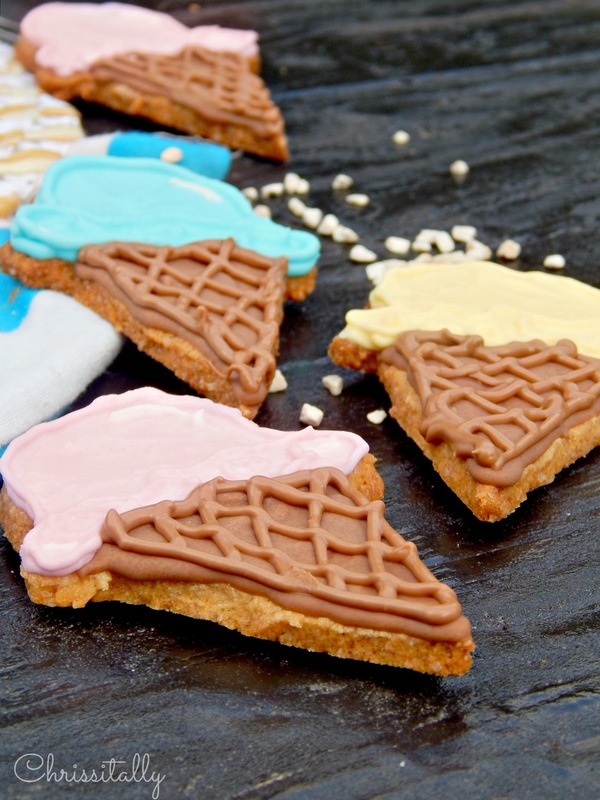 Roll out the cookie dough, take an ice cream cookie cutter or a template of choice and cut out the Ice cream shape. Bake at 180°C (350 degrees Fahrenheit) until your cookies start turning golden brown (this will take about 10 minutes) . Give them plenty of time to cool. 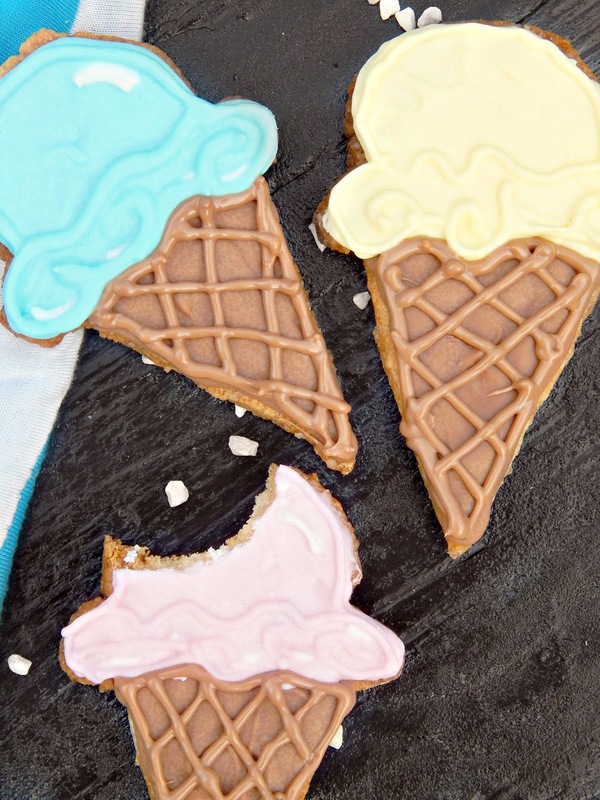 While the cookies are chilling, prepare the icing. Mix all icing ingredients together until well combined. You should have quite a thick consistency. Now separate the icing and pour it into 4 several bowls. Add food colouring and a little bit of water if necessary. This should be the consistency of toothpaste. Divide each colour in half again and add a little more water to one of the bowls. This icing will be used to fill in the design. Start decorating your cookies by drawing along the edges. Give it about 5 minutes in the fridge to cool and fill it with the more frosting. Wait again for about 45 minutes and add some details with the thicker frosting. Much thanks to Chrissi for her wonderful and inspiring cookie tutorial! To see more of her delicious ideas head over to her wonderful Christally’s Cupcake Factory. Chrissi makes the most incredible cookies! Beautiful Chrissi, they look almost too pretty to eat!